It should go without saying, but social media (especially in recent years) is a powerful tool that both individual entrepreneurs and businesses can use to their advantage. In fact, Americans can spend up to three times more time on social media as opposed to reading their email. More precisely, online users spend 7.6% of their online time reading email and 23% (a 15.4% difference) on social network activities (checking friends’ photos, updating their status, uploading pictures, talking to their friends and loved ones, and more). The most important part, however, is that more than 70% of social network users (those who actively participate in the above mentioned social network activities) are also actively shopping online. That’s 12% more than the average internet user. These statistics make up for a very promising start – especially if you’re trying to promote your brand across multiple social channels and you’re also looking to do it right. In fact, if you nail your social media network strategy right off the bat, you’ll reap immense benefits both in the short-term and over the long haul as well (mostly in terms of visibility and revenue-wise). Before you do all of that, however, you’ll need to come up with a long-term strategy and define your goals as clearly and realistically as possible. Brand awareness is one of the main reasons why marketers decide in favor of using social media. This is very logical because people tend to spend more time on social media than ever before, and therefore social media is one of the best places to promote your brand in front of the right target audience. Plus, social media has opened marketers a whole new set of possibilities, mainly in regards to an increased understanding of their brand’s presence in different online environments (like Facebook, Pinterest, Instagram YouTube and more). Follower Count: How many users can your brand potentially reach? Social Media Post Reach: How many users do your posts reach on a daily, weekly, and monthly basis? Mentions, Shares & Re-Posts: How many users are discussing your brand and sharing your content? Most major social media sites (like Facebook, Instagram, Pinterest and Twitter) have their native analytics, but you can always combine them with third-party tools for a more objective approach to your brand’s social media metrics. Driving visitors from your social media channels to your brand website or blog is a very important step towards turning prospects into paying customers. Overall Traffic Share: How much of your overall online traffic comes from your social media channel traffic? Social Media Post Clicks: How well do you communicate to your online audience about the ability to share your content via social media channels? The easiest and most convenient way to measure traffic to your website is by using Google Analytics (Brace yourselves: We’ll be using it a lot). This very powerful tool gives you insights about everything you need to know about your website traffic; including organic traffic (traffic from organic online searches that users make, usually via Google or some other search engine like Bing and Yahoo! ), social media traffic, paid traffic, and more. The “Social” tab shows you the total number of visits from your social traffic, including new users, “Bounce Rate” (the amount at which a new visitor has clicked the “Back” button after landing on your site), “Pages at Session” (the number of pages your visitors will click, on average), and “Avg. Session Duration” (how much time your visitors will spend, on average, after landing on one of your pages). For example, if your social media traffic is 10,000 visitors (from all of your social media channels), and your total traffic is 100,000 visitors (from all of your online channels as discussed above), then your social traffic will account for exactly 10% of your overall online traffic. But, you can go even deeper. If you click on the “Social tab”, then you’ll see the full data breakdown in Google Analytics from all of your social media sources. 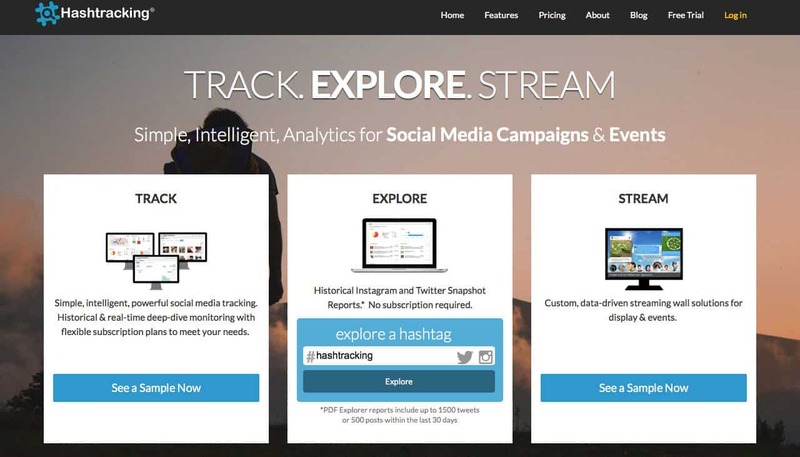 To give you an overall idea (for those new into the social media tracking game), some of these sources can include Twitter, Facebook, LinkedIn, Pocket, Pinterest, Google+, Quora, Reddit, and many more, depending on your social media presence. You can use this data to further discern what works, what doesn’t, and which areas of your traffic-driving social media strategy need additional adjustments. Lead generation is a strategy typically applied within companies with a long sales funnel – usually enterprise software companies. These companies use lead generation to warm up prospective customers and eventually lead them to buy a certain software solution. In other words, this is defined as the “Sales Funnel”. If you have a significantly large social media presence or following (everything above 20K counts), then you can use this presence to get your potential customers to the top of your sales funnel (or introduce them to the solutions you offer). Again, to do this, you need leads. Now, the theory behind what constitutes a “lead” is quite broad, but that isn’t the main point here. Simply speaking, a lead is a person who has provided your brand/company with some kind of personal information about themselves – usually their name, email address, phone number or similar. Of course, you need to track these leads, and there are a couple of effective and interesting ways of doing so. Users’ Personal Information: Like names, email addresses, phone numbers, etc. How many leads have you collected via all of your social media channels? Gated Content Downloads & Participation: How many users have participated in your social media quizzes, contests, or giveaways and proceeded to download your gated content (ebook, flyers, additional information about your brand, etc.)? The Number of Clicks on Your Lead-Generation Content: How well do you get across your brand’s message on those posts? As we’ve said above, Google Analytics is one of the best tools to track your lead generation and adjust or improve your social media strategy accordingly. For this to work, you must have a conversion goal set up first (you can set up a new goal in “Google Analytics Standard Reports” > “Admin” > “Goals” > “+Goal”). Once your conversion goal is all set up, go to “Acquisition” > “Social” > “Conversions” and select your preferred conversion goal you’re looking to measure. The conversion report will then come up with a comprehensive list (depending on the number of your goals) about which social media channels are funneling in the most leads. You can also use some third-party analytics tools and/or plugins to measure goals according to your preference (and preferred level of detailed information as well). And this is where it gets interesting, revenue-wise. Growing revenue through social media is best utilized by businesses which aren’t plagued by a long and drawn-out sales process (like the enterprise software companies we’ve talked above). To this extent, one way to boost your sales is by coming up with an effective social media advertising strategy (example: Facebook ads) and working it out from there. Ads Revenue: How much revenue is your social media ads strategy bringing in since going live? Remember Google Analytics? You can track revenue growth in GA as well, but this time you’d have to assign a dollar value to each conversion. Long story short: Assigning a dollar value basically means to link specific social media posts with your Google Analytics account; you can find this under “Goal Details” in GA. If, on the other hand, you’re running an ecommerce site, then Google Analytics Ecommerce Tracking would most likely be more appropriate for your business. And it’s even easier for Facebook Ads: Simply use Facebook Pixel to link values with all upcoming conversions. 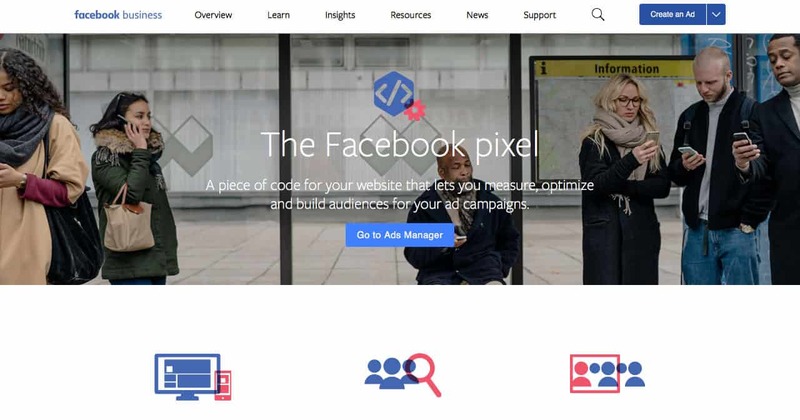 Facebook Pixel is Facebook’s native analytics tool that operates on the basis of a code which you need to include in your website’s backend for tracking data. Or, in other words, copying several lines of code that Facebook Pixel provides and pasting it among your site’s own code. If the first reason was brand awareness, then engagement is the second top reason why social marketers use social media in recent years. In fact, proper social media interactions with your target audience are shown to improve brand perception, increase brand loyalty, and increase word of mouth recommendations as well. Furthermore, it’s no secret that the majority of social media channels’ algorithms (Facebook, Instagram, Pinterest, etc.) are set to prioritize posts with higher engagement on their respective audiences’ feeds. What does this exactly mean? Of course, this formula is simplified for the sake of clarity and time, but the main point is that engaging content gets shared more both by the users on a given social media platform and by the platform itself. Likes, Comments & Shares Per Post: How many users are interacting with your social media content? Mentions, Replies, or Retweets: How many users are mentioning your brand, and how many users have you replied to? The same rules – just as we’ve talked about before with brand awareness – apply to track engagement metrics as well. You can use the social platforms’ native analytic tools, or you can opt out and choose a third-party management tool (in accordance with your preference for detailed metrics) instead. What’s better than tracking audience members, including total followers and potential fans? Well, it turns out building close communities (forums, chats, loyal brand members) can do wonders for making your business stand out. Some suggestions include building a brand-oriented Slack channel, opening up a new Basecamp, experimenting with Discord and even Facebook groups also come to mind. The key point to remember is to differentiate between regular fans or followers and a dedicated community, mostly because the latter group has very different goals and concerns as opposed to just the regular fans. In order to see improvements, here’s a possible metric lineup to get you started. Facebook Metrics: Including the number of posts, likes, and comments. How actively engaged are your users? Twitter metrics: Including the number of participants and tweets per one participant. How many of your users are involved in your Twitter campaigns, and how active are they? 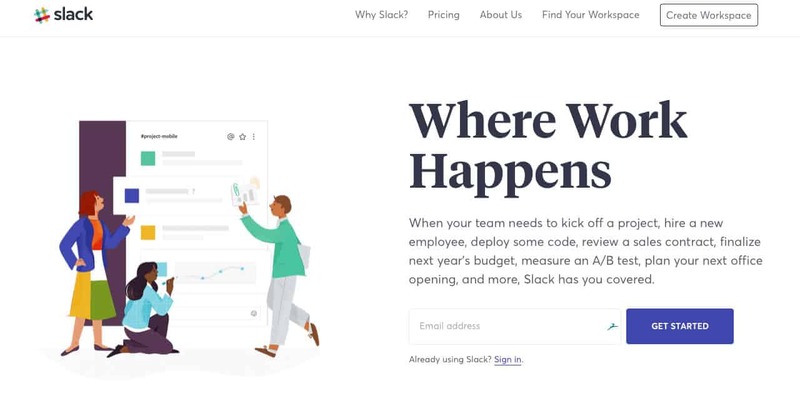 Slack metrics: Including the total number of daily users. How many users are actively participating in your Slack chats? Community building is a complex process because it doesn’t involve just numbers or just names, but combines several metrics (the number of active users as well as the number of loyal followers always at-the-ready to solve a problem within your business community itself) to come up with a total number of community members and the rate at which your community grows. And it is. However, there are countless third-party tools (Grytics, Hastracking, Keyhole) that make this process flow easily and without any major setbacks as it is. 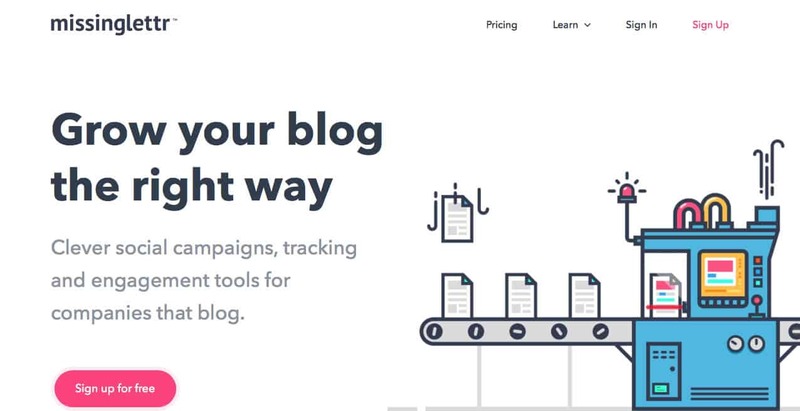 Most of these tools aren’t free, in fact, they can be quite expensive, but all of them offer free trials for you to test and see if it’s something you’d use long-term. How about for those who don’t have the budget? If you’re currently short on budget, it is entirely possible to track and record your data in a simple Excel spreadsheet! This process will depend on a number of variables, including your hardware configuration, operating system, the platform you’re using, and more, but it will eventually help you better understand the data behind your community’s tracking strategy. The only downside of this is that manual tracking can become somewhat tedious after a certain amount of time, so do make sure that you’re also allocating your budget to purchase tools to ease the job in the long run. However, only one in five brand owners uses social media to provide customer support for their users – meaning there’s lots of room for improvement as it is. Total Number of Support Queries: Does your business need a social media customer support strategy? Response Time: How fast are your social media representatives replying to your customers? Customer Satisfaction: Are your customers satisfied – and if yes, how much – with your social media customer service? Now that that’s out of the way, the next thing you’ll need to do is measure the effectiveness of your customer support service. If you have a low volume of customer support inquiries, you can manually track each request and its corresponding response time. 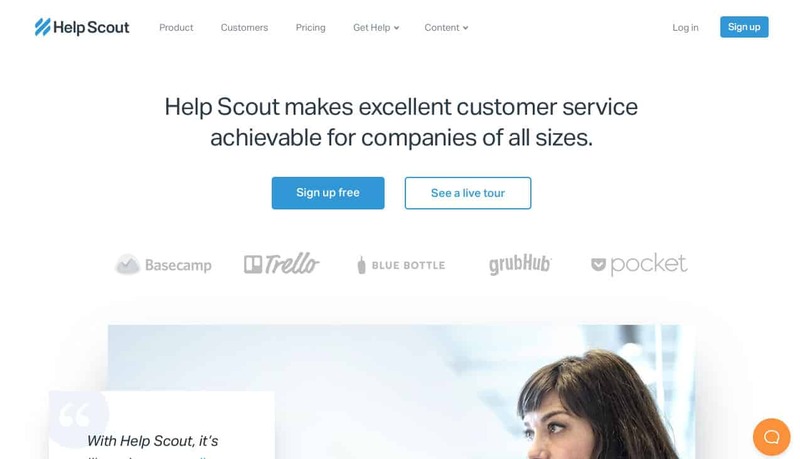 If you have a high volume of customer support inquiries, you can use one of the many social media customer service tools like Help Scout instead to be more efficient in both your response time and the quality of your social media customer service. While it’s true that the recent so-called resurgence of social media channels has allowed companies to take full ownership of their news, the press is and can still be a viable option to spread the word about your brand. Well for one, this makes it easier to build relationships with credible journalists, which in turn makes your brand stand out even more (especially when those journalists have a positive reputation and an ironclad reporting integrity). Plus, it also helps your brand (through mentions, backlinks, and other important traffic measures) to become the go-to resource for information in your respective industry. Potential Reach: How many potential buyers did your PR campaign reach through your social media channels? Mentions and Shares: How many users are mentioning, sharing, and talking about your PR articles through your social media channels? Influencers: How many influential, either journalists or other types of figures, are talking about and sharing your articles? Do they have a reasonably large following? Outreach: How many users are asking your company industry-relevant questions? How many journalists are reaching out to your company through your social media channels? Of course, metrics and tracking your PR success go hand-in-hand. If you’re new to the game, you can manually track all of your social media PR mentions by yourself (or your team). When it becomes increasingly hard to keep track of the entirety of your PR campaign, it means that your brand is being highly recognized. But, it’s also a sign to reach out to some quality third-party tool for help. Depending on the tool you’ use, there will be some different features, but the concepts generally remain the same across multiple third-party tools. Social media has brought brands and service-users/customers closer together and now it’s much easier for customers to provide feedback to their favorite brands in a matter of minutes. By “hunting” and replying to these posts, mentions, or comments, your customers will feel like they’re having a two-way communication with your company (which builds integrity and adds social proof). Customer Conversations: How many conversations did you have (or are you having) with your users on your social media channels? Social Media Suggestions and/or Feedback: How many suggestions (and more importantly – are they quality suggestions?) are your users are sending you through your social media channels? Accepted Suggestions: How many of those suggestions have you accepted for future improvement of your product and/or service? At this point, it may sound like we’re repeating ourselves, but tracking your social listening heavily depends on which social media platform is your main target. For example, if you’re trying to get “to the crux of things” on Twitter, then TweetDeck is an excellent, free tool to conduct a proper social listening tracking. All you need to do is set up the proper keyword searches and the software will automatically track the keywords after which you can readily respond with a tweet to your customers. 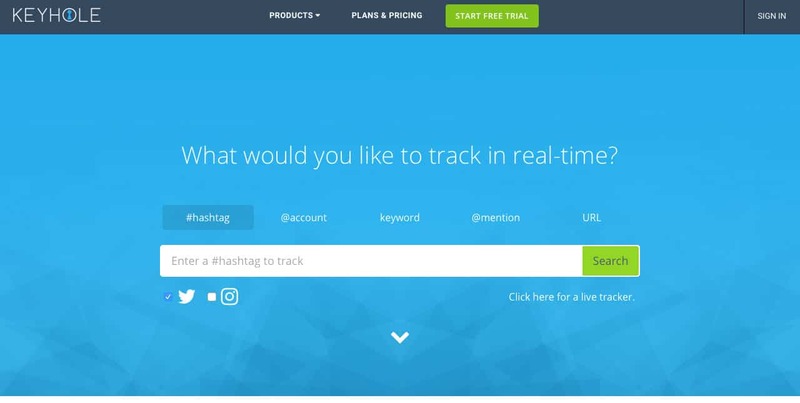 Additionally, since most social listening tools will allow keyword tracking (even if your users aren’t using the “@” handle), you can go the extra mile and surprise your customers when they forget to tag you in their tweets. Okay, so now that we’ve come up with an effective long-term social media strategy, and we’ve also managed to define our social media goals as clearly and realistically as possible, what should our next course of action be? The first rule that any social media marketer should follow is to use the social media platform your audience uses. First, take an in-depth look at your target demographic: Is it new moms who want to buy your special baby milk formula? Or maybe law students who need help with their 5,000+ word essays about international law? Of course, you can also choose to be on each social media platform in existence, but keep in mind that spreading your assets far too thin and far too broadly can be time-consuming, and may even do more harm than good. Remember that the most popular social media platforms are dominated by the 18-29 age group – which tells us everything about their age, but nothing about their buying habits. To find exactly where your audience (and potential buyers) are you need more than a lending hand. Remember the resource we mentioned above: Keyhole? Keyhole is the perfect tool for discovering where your target audience mingles. The way it works is you pick a popular hashtag that your competitors use for their strategies and campaigns, and then proceed to make a search with Keyhole. Then, scrolling down will lead you to a section named “Top Sites”. This metric provides a chart about which top domains have used a certain hashtag the most. It will also give you a general idea of where your target audience is most active. It goes without saying, but the right social media platform for your business will give you a greater chance of accomplishing your goals. Plus, if you can reach your audience faster and with as little friction as possible, then your chances of actually doing sales and increasing your revenue will improve dramatically as well. We’ve briefly touched upon social media influencers when we talked about press mentions above. Now we’re expanding upon what we already know. As a social media marketer, you may have heard about a recently coined up strategy called “Influencer Marketing”. In layman’s terms, influencer marketing simply means to promote a product or a service via someone who has a significant social media following (and influence – hence the term) on either of the handfuls of most popular social media platforms. 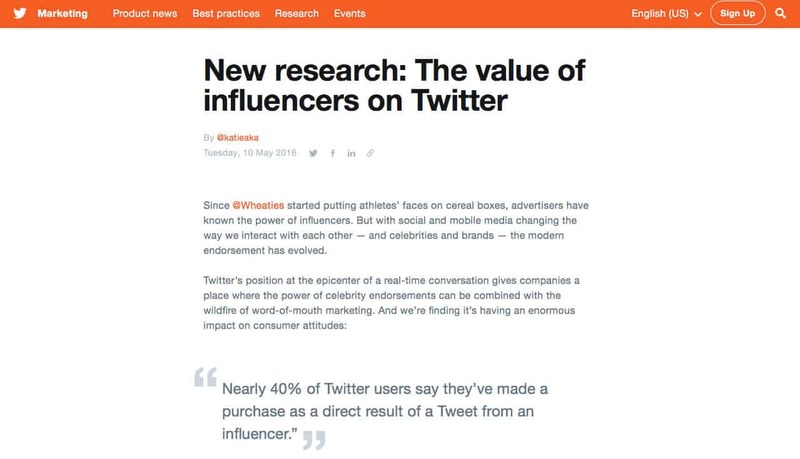 Let’s take a look at a recent study by Twitter and Annalect regarding influencer marketing. Basically, the study confirmed what every social marketer already knew: Consumers are inclined to trust influencers more than random marketers (in fact, the trust they put into social media influencers is equal to the trust consumers have in their closest friends!) which speaks volumes about the effectiveness of this social media marketing strategy. What’s more, almost 40% of Twitter users felt compelled to buy a product/service after they’ve seen it on an influencer’s feed or in a tweet. In some cases, the return on investment (ROI) after an influencer promoted a product became as high as 600% (albeit, the norm is maybe half that). Either way, it’s really logical if you think about it: If consumers trust influencers just like they trust their closest friends, and a friend comes up to you and enthusiastically suggests a product for you to buy, would you buy that product? Appeal to the core interests of your preferred social media influencer without being too aggressive in your intentions. Be honest about your product or service. Of course, these are just general rules which you can use to develop your own unique strategy. Promoting your brand with influencers is great, but sometimes this strategy can backfire if your product is not congruent (does not fall in line) with the influencer’s ideals. If this ends up being the case, but you’re still eager on promoting your product with real people, then the solution is closer than what you’d think. It’s all about using your real customers as brand advocates (enticing them to promote your product by way of offering free giveaways, coupons, discounts, and all sorts of free “goodies”). One way to go about this is to collect relevant keywords and other brand-related searches (hashtags, for instance) on social media. This will help you to locate the most prominent “accidental advocates” of your brand and make it official. Upgrade these kinds of customers into your brand’s official lobbyists. Consumers are a lot smarter than what some marketers (and social media market specialists) give them credit for. Before parting with their hard-earned money online for an item or service, they tend to read several different reviews (possibly from several different sources) to see if the brand is trustworthy. These reviews ease the anxiety every consumer feels when thinking about buying a product from a brand they don’t know (or investing in a service they’re not familiar with). In fact, when these reviews come from other consumers just like them, they feel the kind of honesty that funnels them into buying the product. And when you come to think of it, it’s all of us who do this and do it because of one simple reason – we’re hardwired to look out for social proof. We’ve mentioned social proof before, but what does it exactly mean? Stripped down to basics, social proof essentially means other consumers have tried and recommend the product, and since they’re just regular consumers with no bias towards the product, they’re likely to give an honest and fair review. This makes their opinion matter the most to other consumers, and it makes their stamp of approval mean so much more than a business or advertiser’s word. According to most social media marketing experts, up to 70% of USA-based consumers will be more inclined to buy products after reading positive (or relatable) content about those products generated from other users, which is what makes social proof so powerful. Another effective way to increase revenue through social media is by encouraging your customers to post their opinions about your products (written form, photos, and even positive memes) online. Plus, you can even go one step further and share these user-generated opinions across all of your relevant social media channels. This is a foolproof way of adding additional credibility and social proof to your brand whenever potential customers start poking around your social media channels. By the looks of this title, creating engaging content sounds easier said than done (then again, if it was easy – everyone would do it!). This is where hiring creative professionals (large creative agencies are usually not recommended because they have a long-winded process of approving a marketing campaign that ends up being a patchwork of several different ideas stuffed into one message) comes into play. Or, if you feel like you’re up for the task, you can make engaging content in-house as well. Ideally, whether hiring creative professionals or getting down in the trenches all by yourself, you should aim to produce quality guides and engaging how-to content. The general idea here is to entice your prospects to try your product, and therefore naturally nudge them further down the funnel which gives you a higher chance of closing the deal and making a sell. It’s no secret that the most popular social media platforms have millions of active users (Facebook even goes as far as having 1 billion users at the time of writing this piece!). But, even if you come up with the most effective strategy and pick the perfect platform to reach your target audience, your efforts could potentially end up not as effective because none of those users have heard about your brand before. To develop a head start, go ahead and allocate some of your social marketing budget into social media advertising, but make sure you’re reaching the right type of audience as discussed in the “Increasing Brand Awareness” section of this article. The last thing you’d want to do is misfire towards people who aren’t interested in your brand. Nowadays, most social media platforms make it easy for enterprises to advertise locally, having the option to either create ads or promote or boost content as well. We may sound like we’re repeating ourselves often, but this is because these are some of the most important points to remember (also, repetition is the mother of skill!). So, creating ads will ensure a higher visibility for your brand amongst a relevant audience (potential buyers). This, in turn, will further improve your chances of increasing revenue from social media sales. Take Instagram for example. On it, you can choose to advertise via their popular “Instagram Stories” feature on top of their regular advertising models. Opting for Instagram stories can help drive brand awareness, which is one of the main predictors of ad recall and ultimately – revenue and sales. Facebook advertising offers similar models to raise brand awareness, increase conversions, and close sales as well. The good thing with Facebook advertising is the unique offer of creating a video advert (remember, all people are visual creatures first and foremost), which has a proven three times higher purchase rates than regular text ads. For help creating beautiful Facebook ads on a budget, check out our article on the Top 10 Facebook Post Templates for Ecommerce Businesses. Similar to Instagram and Facebook, Twitter and LinkedIn offer the same ads model, including sponsored or promoted posts and InMail (LinkedIn) to reach the right target audience each and every time one of your campaigns goes live. The best thing about these models is the ability to customize your ads to display a product that a user has recently scrolled through on your website. This has the effect of potentially reminding the customer of what they were looking for before closing your page, which further entices them to follow through with a purchase. This is known in the marketing industry as “retargeting” and we discussed how to operate a retargeting strategy in our Facebook Retargeting Ads: A Step-by-Step Guide. Pinterest is an entire market on its own, and this is one of the main reasons why it’s getting a dedicated chapter (that and the fact that it’s predominantly a visually oriented search engine). According to Shopify, the sales made from ads pins on Pinterest have a $50 higher average order value as compared to the other social media platforms. If you’re also running a Shopify store, there’s good news on that front as well: Pinterest accounts form the second-most online traffic from all social media sources to Shopify stores. If you plan to market your products/services through Pinterest marketing (and really, there isn’t a reason why you shouldn’t do it), it’s a wise move to simplify the purchase funnel by utilizing what’s called Rich Pins and Buyable Pins. 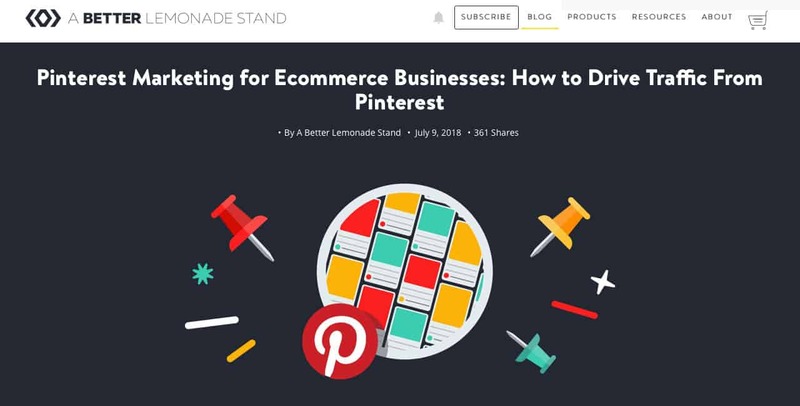 We covered these in detail in our Pinterest Marketing for Ecommerce Businesses: Drive Traffic with Pinterest article, but we’ll recap them here. App pins feature an install button so customers can easily download your app whilst still staying on Pinterest for additional shopping from your store. There is only one caveat though: currently, app pins are only compatible with iOS. Product pins are designed to make the shopping process as easy and intuitive as possible. They feature pricing (including real-time change), availability, and the location of buying a certain product. Recipe pins contain all the ingredients a food connoisseur and recipe warrior would want from a pin. These include ingredients, cooking time, and serving size. Article pins help users save stories that are most important to them. These pins feature headlines, author bios, and article excerpts. Buyable pins are perfect for ecommerce use since they allow your customers to buy your products without leaving your Pinterest shop. These types of pins can be found in search results, related pins, and on your enterprise profile as well. The other great thing about Buyable Pins is their functionality; they work seamlessly across both mobile and desktop platforms. This is excellent from a business owner’s perspective since users can buy your products without changing several different platforms (which also carries the risk of losing the sale or your customers getting stuck somewhere in the sales funnel). To avoid the trouble of losing your customers to avoidable factors, buyable pins feature the “Add To Bag” button, where customers can add their shipping and payment information without having to make a switch to another platform. This process is very effective and allows for increased conversions right there and then. Additionally, Pinterest leaves it up to you to handle shipping and customer service (if a purchase is made through a Buyable Pin), but more importantly, the platform doesn’t take a cut of your sales. Finally, Buyable Pins can be promoted to make it easier for potential users to find your products. Think of this as a Pinterest’s equivalent to social media advertising of Facebook, Twitter, or LinkedIn. If your brand doesn’t have a narrative behind it, then consider building a story behind it to strengthen the relationship between your company and your prospective (as well as existing) customers. First of all, humanity is hardwired to love a good story. Ever since the dawn of epics such as The Iliad and Odyssey by Homer, people have gathered around bonfires to tell, listen, and enjoy a good story. How does this help modern businesses to increase revenue and sales? It’s simple: Consider social media as the metaphorical “bonfires” where people now gather to tell and listen to stories. And why do they gather? Because they want to be emotionally charged and feel better long after they’ve logged out from their respective social media accounts. The major social platforms use the habit-creating dopamine rush of unopened messages to create a feedback loop so that users will spend more time on their platform. So, you have your bonfire (social media platform), you have your audience (people who want to hear a good story), and you have your storyteller (in this case, the storyteller is you, your company, or your digital marketing team) all lined up and it’s really up to you how you’ll go about creating a narrative behind your brand. This should be obvious to most digital marketers, but sorting through mediocre and sub-par content to reach highly engaging and informative content is a recurring problem most social media users have to handle on their own. Or, in other words: There is a big discrepancy between quality content and run-of-the-mill texts that add little to no value in the digital world. This is why it’s very important to keep high standards content-wise; not at the peril of neglecting your social media accounts but at a steady pace that both you and your customers can handle. Plus, remember how we’ve talked about people being visual creatures first and foremost (which is part of why Pinterest experienced a growth-explosion in recent years)? Always make sure to post high-quality images to serve as leverage for your engaging content. Trends exist for a purpose: To be followed. Now, it’s possible to invent a new trend, but it usually takes a lot of time, resources, skill, and luck to pull it off properly. However, this is where you jump on whatever current fad is popular on social media and seize the opportunity while the trend is still hot. All of these are direct triggers, and they work best with a large social media audience. And it’s only logical: If you tell 5,000 people to buy something, and you have the proven authority to do so (including social proof), then chances are you’ll get decent sales. It’s an obvious formula that not enough digital marketers use, so think about crafting several campaigns by using direct buying triggers (like the ones above). For small business owners, this can be tricky as they tend to be “assimilated” into the vast ocean that is social media presence. Plus, small businesses are usually run by a single person (or a handful of people) at any given time, so using direct triggers here would be less-than-ideal. With all of that being said, how do you succeed in social media marketing if you’re a small business owner? Social media can create a big buzz both for companies and individuals alike. Social media can also narrow down your business communication to a particular niche. To this extent, social media users want to browse for items/products they might like, but not necessarily buy. In fact, as much as 56% of shoppers aren’t ready to make a final decision, but instead, they want to save their potential purchase for later. This shopper behavior is even more prevalent in recent years. If this is the case with your business – it’s time to use your social media channels to introduce your products to the customer. Sales appear less chance-driven if there’s a new product to sell to customers. What this basically means is new products tend to generate more buzz than what’s already out there, so customers will like these new products more and will tend to gravitate towards buying them more as well. This is exactly how you eliminate chance. Each sale will become a deliberate effort, even though it may seem like a chance or a sudden stroke of luck for the customer (where instead your strategy is what did all the heavy lifting). Or in other words: You can’t tweet about ice-cream if you’re selling video games. Well technically you can, but those tweets won’t generate any revenue for you. We are releasing a brand-new downloadable content early next week! Only next week, all sales are off by 50%! Enter our giveaway for a chance to win one of the 210 exclusive beta keys for our latest product! You can use everything we’ve talked so far to create recurring offers and repeat them (usually your most profitable offers) as much as you’d like. This problem, however, is easily solvable: You should become more organized about re-sharing your posts or use a tool like Buffer to pre-schedule your business’ social shares. On the other hand, fear of spamming is a more legitimate concern which is also harder to overcome. The solution, of course, is to adopt a wider stance and realize that social networks in recent years are not the same as they were ten years ago. Nowadays, social media users have very busy social feeds. On top of that, the algorithms these social sites employ also work, in a sense, “against” small businesses and small business owners (on Facebook, posts by business pages are seen by as little as 6% of the total number of the pages’ followers). This makes it super hard for a single post to be seen by your followers, which is exactly where we have to pull off a change of tactics. Sharing your content multiple times works, but make sure you’re not over-sharing your content and becoming spammy. To give you an overall idea, scheduling your best content to be shared at least 5 times is the proper way to go (less than that, and the chances of your post to be seen by the prospective buyers will decrease; more than that, and you’re pushing your luck with both users and page algorithms as well). However, you can never really predict which post will become the most popular post amongst your followers. This is precisely why you’d have to share your most popular posts 5 times at most. The biggest impediment to pushing out multiple shares is the brain. As soon as you write, edit, publish and share a given post, your memory considers this as having completed a task (which it has, but not if you want to schedule 4 more shares of the same post). To override this, you can use calendars (Google Calendar comes to mind) to make reminders over the next several months or so “nudging” you to re-share your content. Another, more sophisticated way of doing this is by using automated publishing tools. Most of these tools are very powerful and have a pre-scheduling option to allow multiple shares on several of the most popular social networks. If you opt for a sharing tool featuring a calendar like Buffer or MissingLettr, then all you’d have to do is click on a given date and time to create your post. The post will then automatically be shared on the pre-set date and time which you chose. Thirdly, you can also introduce variation in the way of sharing and re-sharing your posts (this is also useful if you want to avoid any fears of becoming too spammy). What do we mean by this? If you think about it, most social media content shares start with the title of the post. And this is exactly how your first share should lead. After that, you can plan your additional shares by pulling out useful information from the body of the post. So, instead of sharing your post 5 times where it leads with the same title, you could share a tip or statistic from deeper within the post itself. This tactic prevents any potential spamming issues and it also allows for casting a wider net so that your specific tip will grab someone’s attention where the title didn’t. Now, we’ve already stated to re-share your content 5 times at most, but is this true for all social media platforms? The “social flow” of Twitter, for example, tends to move very quickly. The average “shelf life” of a single tweet clocks in at 24 minutes. This is an excellent opportunity to break the golden rule and get away with more than 5 re-shares. However, if you’re re-sharing within a short time-frame, then make sure to rewrite your post since Twitter will reject the same tweets sent too closely from one another. Finally, if you’re into big data and want to know everything that goes on behind the scenes, you can always tag your links. How? 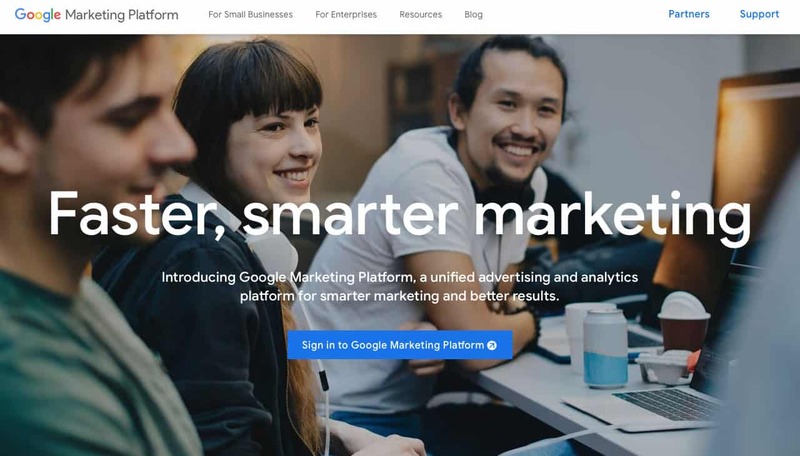 By using the Google URL Builder tool to make a unique URL for each individual share and each distinctive social platform as well. Then, just go to “Campaigns” in your Google Analytics dashboard to see how each individual share performs traffic-wise. We briefly touched upon this topic when we talked about prioritizing quality over quantity, and now it’s time to expand on it even more. To this extent, more than 70% of social media users find high-quality images at least twice as effective at grabbing their attention as opposed to text-content alone. In fact, as social media users become more discerning in recent years, this 70% rule excludes generic stock images and low-quality images as well. Strapped for ideas still? Here are some suggestions. Themed images are defined as a series of images that fall within a specific design pattern (for example: black & white, grayscale, art deco, pop art, etc.). This design pattern can greatly vary between different companies, but it’s always recognizable, predictable (“predictable” as in, similar to what’s already proven that people like) and 100% reliable for a specific company. So, coming up with your own themed images style is critical for the success of your social media advertising, sharing included. Themed images are absolutely crucial for promoting brand recognition and developing a consistent brand presence as well. Bottom line, if you want to create images, keep things such as your company’s color, typeface (font), and company’s voice consistent across all media platforms. Tools like our Ecommerce Branding Guide can help you develop all these brand assets for your business. 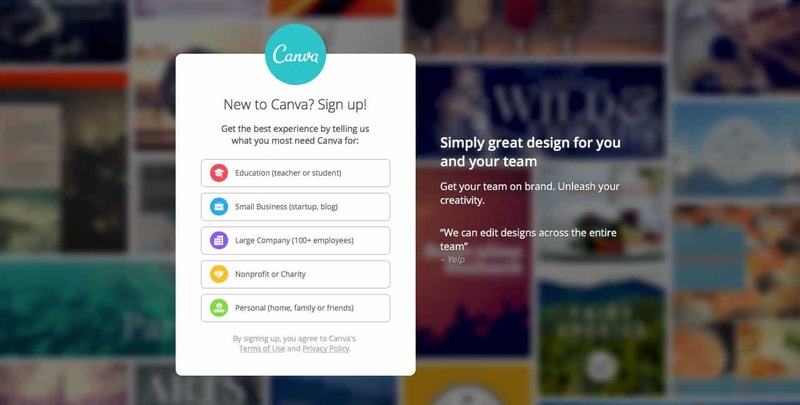 Third-party image platforms (Canva comes to mind) make it easy to create your own infographics, graphics or visual content. However, creating and manipulating images is a very time-consuming task for people who don’t have the sufficient skills and don’t do it frequently. Here’s where hiring a visual designer is the wisest move to make. A designer can help you in multiple ways. For instance, by opting to hire one, you’ll immediately get access to a large batch of high-quality images which would otherwise be out of reach (if, instead, you’re doing the design on your own volition). In turn, this will free up a valuable chunk of time which can then be applied to growing your business and better macro-management of your social media channels. Not sure where visual designers mingle? 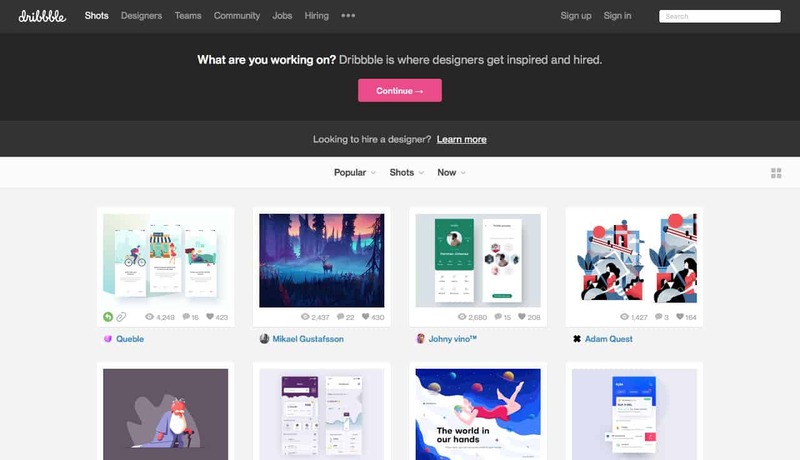 You can use freelance talent platforms such as Dribbble, Guru, Upwork, and Toptal, hire an agency or opt for solo freelancers (not bound by platforms) instead. But saving time is much more than just hiring outside talent. Alt text is one of the most overlooked variables among social media marketers in recent years where, in fact, alt text – however cliché it may sound – can make or break your Search Engine Optimization (SEO). So, how to define alt text? In simple language, alt text is an abbreviation of alternative text, and it basically refers to the text behind a given image on your site. 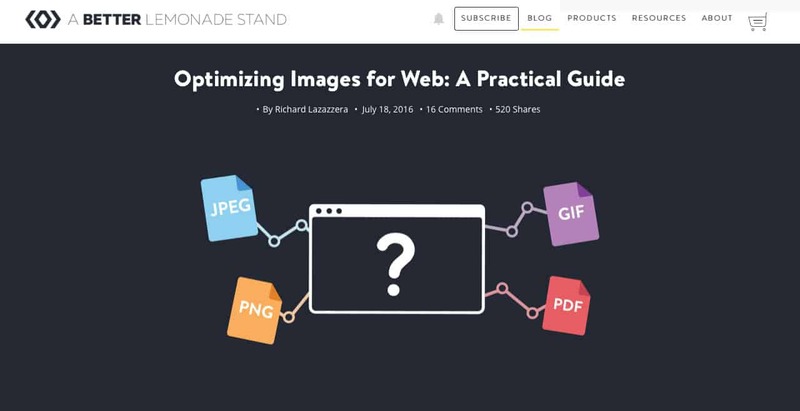 If, for example, your image doesn’t load (for one reason or another), alt text is there to give the reader an overall representation of what the image represents, in text form. But alt text is also used to allow people with vision disabilities to “read” the image or have the image read it to them via screen readers. If your site is WordPress-powered or powered by most ecommerce platforms like Shopify or BigCommerce, then you won’t (or you don’t need to) deal with code to attach alt-text to your images. You can easily fill, update, or change your alt text whenever you upload an image in your media library. What’s more, you can also use alt text to include keywords so that search engines can find your content more easily on the web. The interesting thing with alt text is that, unlike meta descriptions or tags, alt text doesn’t have a maximum proposed length. If you’re unsure how to include alt text in your images, remember to always include your keywords here and you’ll be good to go. However, it’s also important to add alt text to every image on your site and to include all the relevant information such as full product names, product IDs, head as well as and long-tail keywords. Most digital marketers don’t realize this, but the type of image file that you upload on your site has an impact on image quality! Many people tend to upload JPEG file types almost automatically, but there may be another option for this. If you’re still in the dark about which format to use for your website, you essentially have to remember two main rules: Use JPEGs for standard photos, and use PNGs for any of the custom graphics you make. Besides file types, you’ll also need to pay attention to your image’s dimensions as well. Avoid uploading enormous files (keep it down to less than 2MB per image), because they tend to affect page speed, SEO, and users will slower internet connections/older computers won’t be able to reach to your content as fast and consequently, may exit away from your site. Many web hosting/publishing platforms (WordPress included) offer built-in options for resizing and tweaking images. If you’re still not satisfied with the results, you can always use professional photo editing software like Photoshop to resize your images according to the guidelines we put above. And what about using stock photos for your business? Search for High-Quality Options: Most stock photos come from professional platforms, but that doesn’t mean that they’re always going to have the highest quality (this is because these platforms utilize freelance photographers who then sell them images in bulk). As you’re searching for images to use in your social media strategy to increase sales and revenue, look for pictures that are crisp, clear, and have the right tone (for example, comedic if you’re running a comedy site, euphoric if you’re a sales-oriented business, etc.) as well. Plus, if there are people in your stock photos, make sure that they reflect your target audience and the topic in the photographs are relevant to your content. White Space is a Must: Another general rule of thumb is to look for photos with enough white space on them. Why? Because you need additional text to advertise a product, convey your brand’s message, or come up with a witty remark to increase visibility and ultimately make a sale. Look out for Attribution Rules: Most stock photos don’t require any attribution for use. However, some do. By thoroughly understanding attribution and copyright rules, you can avoid some unforeseen legal issues which can impair your business from seemingly out of nowhere. If you get lost in the legalities of fair use, there’s always the option to hire a legal person to do the work in your stead. While considered important, most small business owners think of website images as a mere afterthought in the larger scheme of their social media strategy. Unfortunately, this is the wrong approach to have. What you need to do instead is create a unique visual content that stands out from the competition and immediately catches the eye of prospective customers. This may sound like a truism (a statement that is always true), but that doesn’t make it any less important than, say, having a well-researched and engaging piece. Think of it this way: Instead of following the herd and making your pictures as generic as possible, you’ll need to invest the time (or hire a team) to grow a truly eye-popping visual strategy. Then, have all of your new images neatly “fall” within this social media strategy – with each image you publish being the best one yet. Sure, it takes extra effort to pull this off, but it’s well worth it, in the long run, both brand awareness and revenue-wise. So to recap, we’ve seen that a firm social media strategy in place is crucial if you want to increase sales for your business. In fact, with the social platform landscape moving ever-so-quickly, having these goals defined is not only crucial – but it’s absolutely necessary for every business owner. A business can have either of these goals, one, or all, but the general rule says to narrow down on two-three and build your social media strategy based on these few goals in mind. Additionally, we’ve also gone through some of the most popular (and effective) ways on how to drive sales by utilizing the several major social media platforms (Facebook, Twitter, Pinterest, etc.). As you may notice, all of these ways mainly involve winning the trust of your target audience via other people, both influencers and customers alike. But some of them are also reflective of your skills as a social media marketer and your abilities to delegate tasks cleanly, efficiently, and effectively (and of course, within budget). Plus, you’ll also have to ensure that your brand gets the desired visibility out of your social media campaigns in order to reach the right audience (it gets somewhat repetitive by this point, but this is mainly to increase revenue and stimulate sales). Don’t forget to craft compelling content to entice your readers to buy your products and services and turn them into recurring and loyal customers. Finally, the main objective of these social media strategies is to reduce friction and minimize any unnecessary steps that could prevent interested prospects from making a purchase. And, going forward, that’s a very clear rule to adhere to. 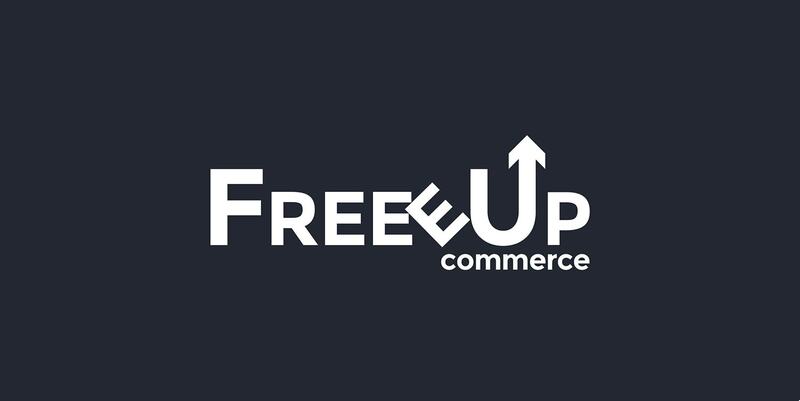 FreeeUp interviews thousands of freelancers & only allow the top 1% into their network. Use ABetterLemonadeStand50 at checkout.